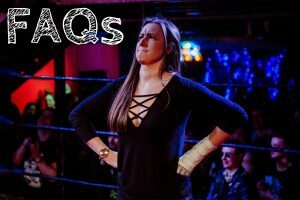 If you have any questions about EVE Academy you can contact us at: prowrestlingEVE@gmail.com however please check our FAQs first as they may answer your questions! 1. IS IT A WOMAN ONLY SPACE? 2. HOW LONG DOES THE CLASS RUN FOR? 3. DOES IT MATTER IF I MISS A CLASS? 4. WHAT TIME DO I NEED TO ARRIVE? 6. WHAT TYPE OF CLOTHES AND SHOES SHOULD I WEAR? 7. I’M RUNNING LATE – CAN I STILL COME TO THE CLASS? 8. ARE TRANS WOMEN/ NON-BINARY PEOPLE WELCOME TO TRAIN AT EVE ACADEMY? 9. I’M NOT VERY ATHLETIC / AM REALLY UNFIT – WILL THAT BE A PROBLEM? 11. WHAT ARE THE CHANGING FACILITIES? IS THERE A SHOWER? 14. DO I NEED ANY PREVIOUS EXPERIENCE? 15. IS IT OKAY IF I JUST WANT TO DO THIS AS A HOBBY? 17. WHAT DO THE CLASSES INVOLVE? 18. DO I HAVE TO BOOK A PLACE? 19. DO I HAVE TO PAY IN ADVANCE AND CAN I PAY BY CARD? 20. IS THERE A MONTHLY CONTRACT/COMMITMENT? WILL I HAVE TO PAY FOR CLASSES IN ADVANCE? 21. WHERE ARE THE CLASSES HELD? 22. WHAT IF I CAN’T KEEP UP? 23. HOW MUCH ARE LESSONS? 24. HOW OLD DO I HAVE TO BE/AM I TOO OLD? Although the EVE Academy is only open to anyone who is a self identifying woman, or is non-binary, femme presenting and comfortable in a woman-focused environment it is not a women only space. Along with Rhia O’Reilly the classes are taken by pro-wrestler, fight choreographer and London School of Lucha Libre coach, Greg Burridge. With their mix of specialities and teaching styles Rhia and Greg make for an amazing coaching team! The classes run for 2 hours – starting at 10.30am and finishing at 12.30pm. The doors open at 10am. It doesn’t! Much like a fitness or martial arts class you’re still able to attend and join in even if you can’t make all the classes. For your first lesson please arrive 20 minutes early so that you can do any paperwork needed. We ask that students arrive at least 5 minutes before the start of the class. Please bring a spare t-shirt to change into after the warm up. Pro-wrestling requires partner work so this makes it much nicer for the people you’re working with! Wear comfortable clothes that you can move in and sports shoes (like trainers). Please make sure that your shoes are ‘indoor’ shoes and not muddy. 7. I’M RUNNING LATE, CAN I STILL COME TO THE CLASS? The warm up is a very important part of the lessons and protects you from getting hurt. If you are running more than 15 minutes late please be aware that although you are still welcome to attend the class our coaches may not allow you to do certain parts of the training for your own saftey. 8. 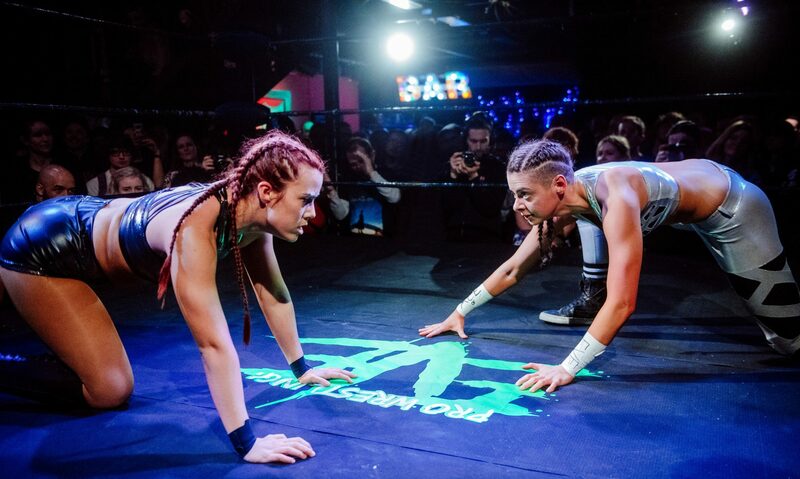 ARE TRANS WOMEN AND NON-BINARY PEOPLE ABLE TO TRAIN AT EVE ACADEMY? EVE Academy is for anyone who is a self identifying woman, or is non-binary, femme presenting and comfortable in a woman-focused environment. 9. I’M NOT VERY ATHLETIC/AM REALLY UNFIT – WILL THAT BE A PROBLEM? Much like a stunt-person, the art of pro-wrestling is to learn how to do things as safely as possible. This doesn’t mean that it’s pain free and the impacts are very real but whilst some things may hurt the objective is that it does not harm you when performed correctly. Please do take into consideration that much like any sports or physical performance, accidents can happen and that even the very best and safest pro wrestlers do sadly still get injured. There are toilets but no shower at the venue. There is a communal changing area – our male coach will NEVER enter this area. Everybody learns at their own pace – especially with something like professional wrestling which requires a lot of new and unusual skills. We don’t subscribe to the shaming form of ‘encouragement’ and you do not have to be concerned about any negative attitudes from our coaches. EVE Academy is about providing a safe and empowering environment with women supporting other women on their journeys. Yes – you may struggle in certain areas but we’re all about having fun and improving our skills and there’s no need to be embarrassed. There’s no such thing as ‘the right look’ when it comes to professional wrestling. With so many unique characters and styles we’ll help you find something that fits you and that you’re comfortable with! Nope, our classes are appropriate for absolute beginners and more advance students alike. 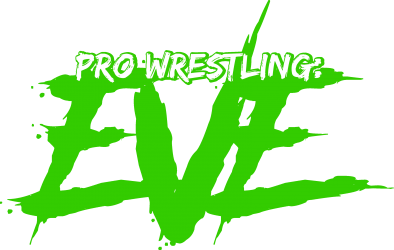 Wrestling is theatre and live action stunts…only without months of rehearsal time! Although some of the ‘moves’ and submission holds can be utilised in real life situations professional wrestling is not a sporting contest. Classes are split into three sections: physical fitness, learning to wrestle and building character and confidence. For full details on these please click here. You’re welcome to book and pay for your place in advance (and you can do so here) but you can also just turn up on the day! Please be aware that there are no card facilities at the venue so the £10 is payable by cash only. You can pay in advance on our shop here but you’re also welcome to pay on the day. There are no card facilities at the venue so the £10 is payable by cash only. All you need to do is your best – the coaches are there to help you improve at your own pace. To train at EVE Academy you have to be 18 or older. When it comes to being too old… well, you know your body – if you can get yourself back up from the ground unassisted and aren’t at high risk of breaking bones (brittle bones etc) then come give it a go!